Home Health is a branch of medical and care services that is focused on providing intermittent assistance to those who are confined to their homes and in need of short term acute health care. Although home care has been a staple of health care historically, because of the advent of modern technological advancements and resources, Home Health has expanded to include services, procedures, and therapies that in the past would be restricted to hospitals. 3HC is proud to be on the frontier of this growing opportunity to safely, efficiently, and affordably help patients remain in their communities and their homes, despite their need for consistent medical and therapeutic attention. As Home Health specialists, with a wide scope of choices in services, we are dedicated to customizing our assistance to our patients’ needs as prescribed and supervised by their physicians. 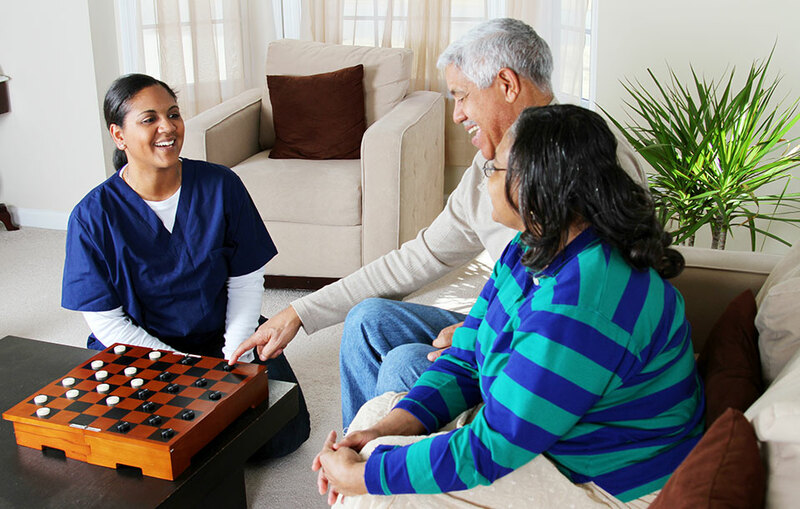 Most Home Health patients require our services because they are either elderly or disabled. But because we are committed to providing the highest quality range of periodic services, we are equally prepared for any patients with ongoing diseases or conditions, those who are recovering from an injury or a hospitalization, and even those requiring specialized care. Home Health Nursing is focused on customized and complete care. Upon the recommendation of a physician, and strictly following his instructions, each nurse begins her relationship with the patient by visiting them in their home to develop a unique plan of care, which is customized to their specific needs, desires, medical procedures and treatments, family involvement, prescriptions, and current routines. This is an essential component of the Home Health process to ensure that the patient is living as normally as possible while still receiving the required medical services. And through the regular visits, our nurses establish a relationship with the patient and their families, monitor the patient’s medical condition to keep their doctor fully aware of their progress, and can address any concerns or changes to ensure that the patient is living as fully as they can. We also provide nursing assistants for any needed help with daily activities like bathing, dressing, exercising, and cooking. As part of our dedication to provide technologically advanced services in the home that would typically be restricted to hospitals, 3HC has developed an Infusion Therapy Program. To eliminate the costly visits to the hospital and allow patients to recover in the comfort of their own home, the complex clinical care of infusion therapy is provided, which allows patients to receive vital fluids and medications, made available through partnering pharmacies. The infusion therapy teams are hand-picked because of their assessment skills, technical expertise, and community health experience in treating patients with cancer, AIDS, nutritional defects, leukemia, heart disease, hemophilia, MS, infections, and other health problems. We offer a variety of services which include, but are not limited to, hydration therapy, chemotherapy, anti-infective therapy, anticoagulation therapy, blood component treatment, biological response modifiers, IVIG therapy, inotropic therapy, central line maintenance, pain management, steroid therapy, and TPN therapy. Like our home health nurses, our rehabilitation services are focused on customized and complete care. Each patient has specific needs that require a different combination of home rehabilitation therapies, and our team of therapists work with each patient’s physician to determine the particular course of care to serve that patient’s needs. All patients in rehabilitation are working to overcome their physical and emotional limitations that are caused by injury, illnesses, hospitalization, surgery, disabilities, or even the repercussions of aging, like circulatory problems or arthritis. Physical Therapy and Occupational Therapy focus on improving the strength, mobility, and functionality of the body. Both make use of specialized exercises and equipment, and strategical physical training. But while physical therapy uses them to develop more normalized general movement, occupational therapy is concentrated on detailed movements of activities performed daily, like bathing, grooming, dressing, laundry, and meal prep. In both therapies, it is not merely the strength or the success of the actions they are recovering that is essential, it is also the growth of confidence and independence that is necessary for full therapeutic effect. Speech therapy is a comprehensive addressing of problems associated with expression; from the need to physically swallow to the ability to speak more clearly. Through speech therapy, the patients can improve cognition and memory skills as well. Medical social work approaches the emotional and social pressures of illness and injuries. They share with their patients techniques and information for finding new strength within themselves and advise them where to turn for the support and comfort of others in the community.